Dr. David W. Miller, MD, LAc is one of the only MD physicians in the U.S. dually board certified by the American Board of Pediatrics and the National Certification Commission for Acupuncture and Oriental Medicine (NCCAOM). 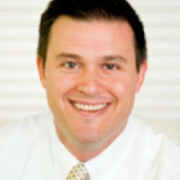 Dr. Miller received his Bachelor’s degree in Theoretical Mathematics from Vassar College, his M.D. from the Brown University School of Medicine, and completed his internship and residency in Pediatrics at the University of Chicago. He then completed his Master of Science in Traditional Oriental Medicine with the Pacific College of Oriental Medicine in Chicago. Dr. Miller is currently in private practice with East-West Integrated Medicine, but is also an instructor at the Pacific College of Oriental Medicine in Chicago where he designed the school’s Integrative Pediatrics curriculum and teaches at the doctoral level. At Pacific College, he has also designed and taught curriculum for the study of Integrative Endocrinology, Nephrology, Public Health, and Medical Communications. Dr. Miller sees all ages in his practices, but specializes in Pediatrics seeing patients from newborn to adulthood. Dr. Miller is also president of the Illinois Acupuncture Federation, Member at Large and Legislative Director for the Illinois Association of Acupuncture and Oriental Medicine (ILaaom), and recently completed his second term on the Illinois Board of Acupuncture with Illinois Department of Financial and Professional Regulation. He is a subject matter expert and chair of the Biomedical Examination Committee for the NCCAOM, and is a peer reviewer for Meridians: The Journal of Acupuncture and Oriental Medicine. He is a member of the American Academy of Medical Acupuncture, the National Physicians Alliance, the American Medical Association, the Illinois State Medical Society, and the Chicago Medical Society as well, and sits on the ISMS Council on Education and Health Workforce. Dr. Miller also participates in the American Academy of Pediatrics Section on Complementary and Integrative Medicine.